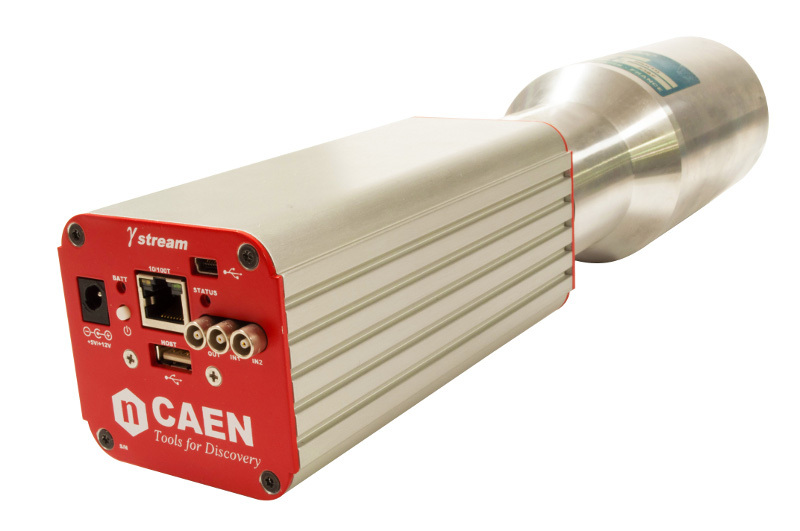 CAEN Gamma stream is a compact and portable system for gamma ray spectroscopy with scintillation detectors, which provides an active Multi-Channel Analyzer (MCA) integrated in a 14-pin photo-multiplier tube (PMT) base. 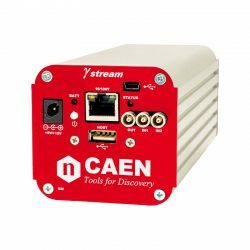 Gamma stream fully integrates in a stand-alone device the high voltage to bias the PMT, the preamplifier to shape the signal from detector, and the MCA for a complete Pulse Height Analysis online. Gamma stream makes easy the measurements with scintillation detectors, such as Nal(Tl), LaBr3(Ce) and CeBr3, with no need of additional cables. 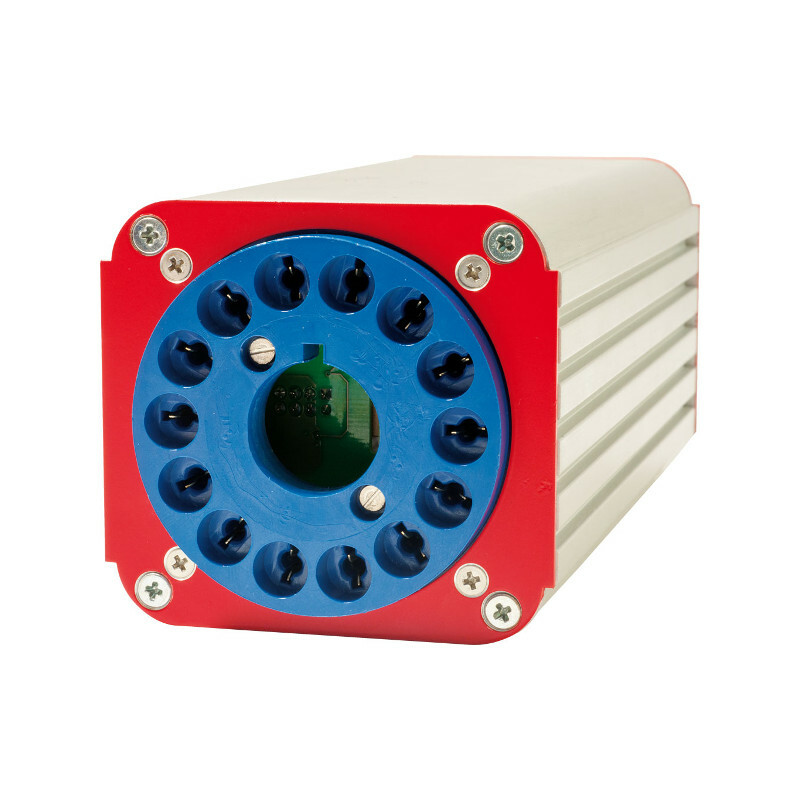 Its socket and voltage divider can supply standard 14-pin and 10-stage (S2580 and S2580G models) or 8-stage (S2580LB and S2580LBG models) PMTs. Gamma stream has been designed to work stand-alone, with no need of additional devices, cables, nor human assistance. 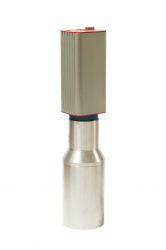 Gamma stream feautures internal rechargeable Li-Ion battery prodividing long-term duration for unattended on-field acquisitions. 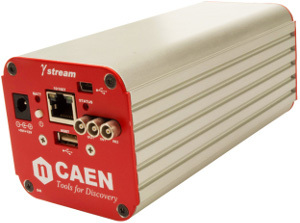 Once Gamma stream is programmed via computer or mobile phone, it then acquires and logs data in an internal SSD memory.  An embedded CPU, running Linux® OS, controls the acquisition and data recording, as well as the supported communication interfaces. Multi-interface communication capability by Ethernet, USB 2.0, Bluetooth® or Wi-Fi, makes possible the remote control via computer or smartphone. 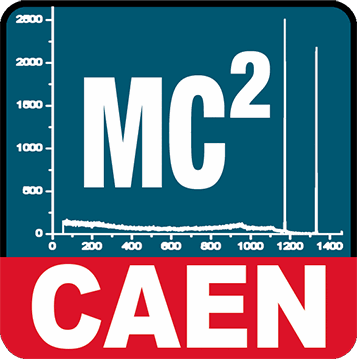 Gamma stream can be fully controlled by the MC2 Analyzer software [RD1] running on Windows ® OS PC. 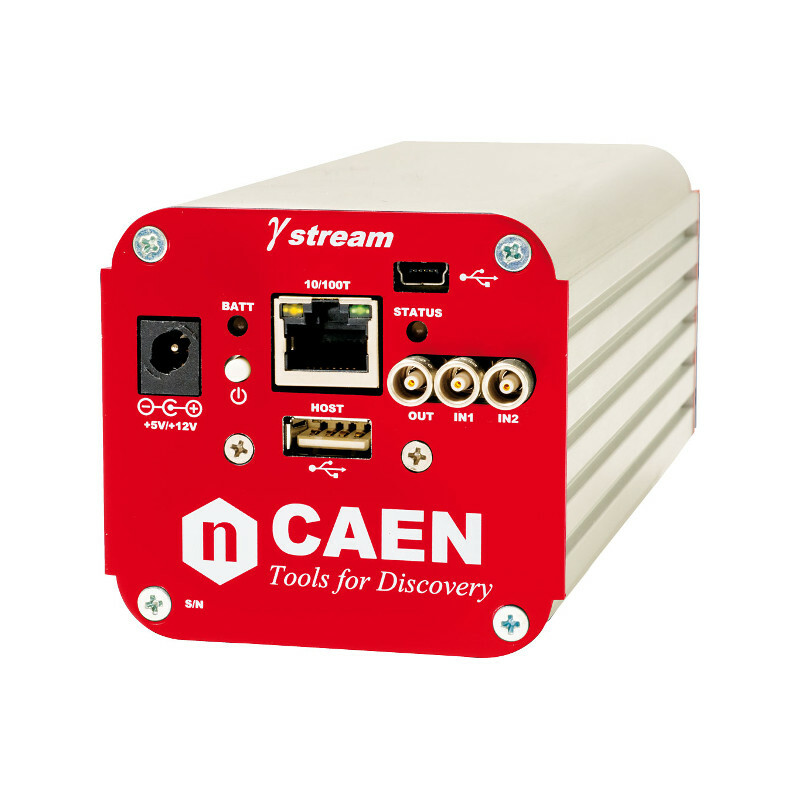 In addition to Gamma stream, MC2 Analyzer has been designed to manage all CAEN Digitizers running the DPP-PHA firmware (Digital Pulse Processing for Pulse Height Analysis) and the PHA based family of CAEN Desktop/NIM MCA, such as DT5780 and DT5781. 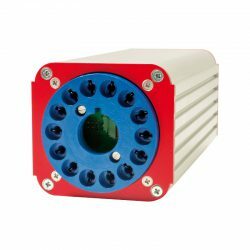 Besides the standard board and spectra configuration, the software feautures functionalities like spectra calibration, peak search and analysis, etc. The dedicated GammaTOUCH mobile application is provided for AndroidTM based devices to control Gamma stream not only for all the relevant settings for the device, but even for the GPS application (mobile GPS), and the list mode. Dedicated S2580G and S2580LBG versions feature an embedded GPS component. 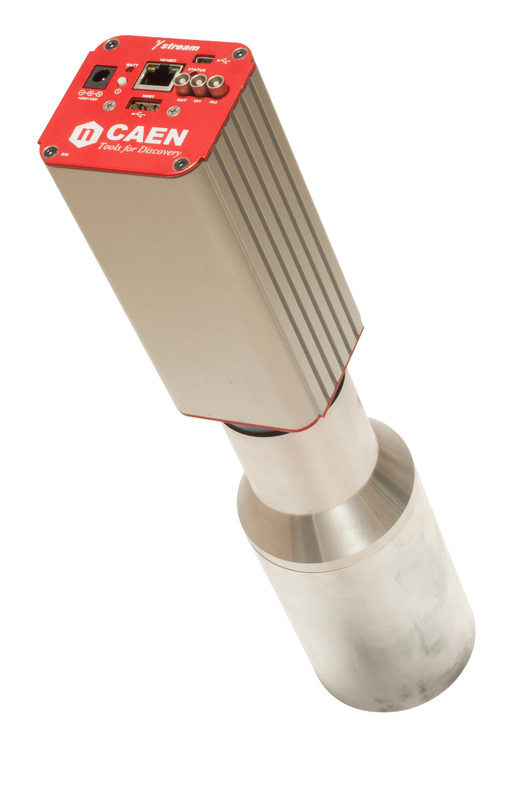 Considering that scintillation detectors are usually sensitive to temperature changes, and advanced algorithm for gain stabilization is available. The user can select a specific range where the algorithm recognizes a peak and adjust its position according to the temperature variations. Output Bias Current: 500 µA max. IMPORTANT: Gammastream with S/N up to 74 work with firmware release 1.2.1. 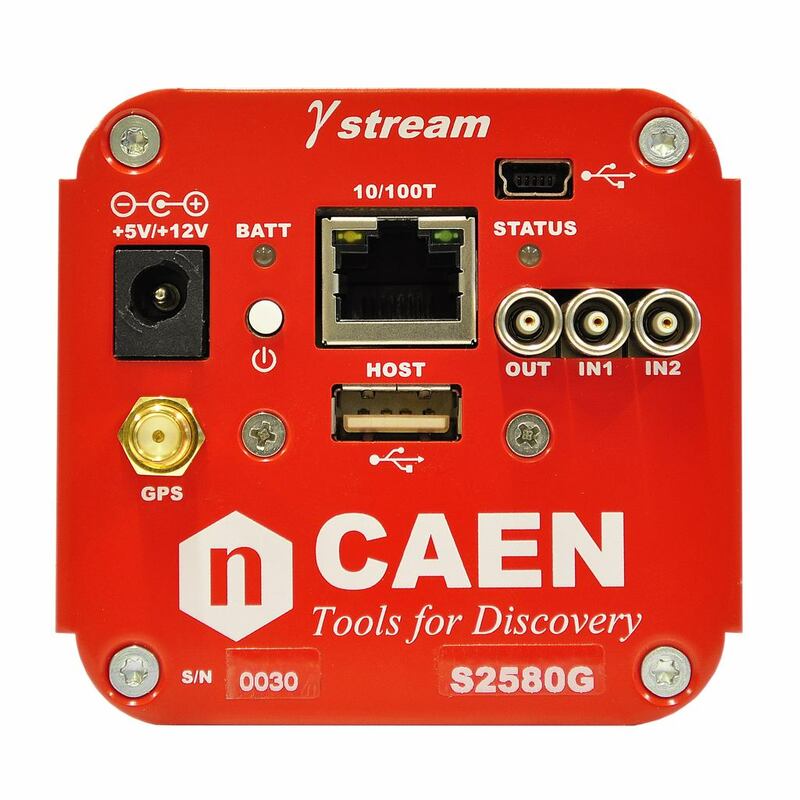 Gammastream with S/N from 75 on work with firmware release 1.2.2. If you are interested in upgrading your firmware release to the 1.2.2 or to operate it at highe inout rate (about 100 kCps) an hardware modification is required so please contact the CAEN Support or your local representative for assistance. 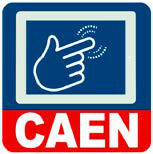 In case of any doubts please contact CAEN Support at support.nuclear@caen.it.